Zip Code 28117, one of two areas that have reported statistically higher than average incidences of thyroid cancer. This is a developing story. Policy Watch will run a full story, including interviews with scientists and community residents tomorrow. Two areas near Lake Norman have reported statistically higher than expected incidences of thyroid cancer, according to a May 29 letter obtained Tuesday by Policy Watch from the state Department of Health and Human Services. Most of the cases occurred in two Zip Codes: 28115 and 28117. The state undertook the analysis because of community reports of thyroid cancer, including several cases involving teenage girls. Thyroid cancer is unusual in young people. It more commonly affects women in their 40s and 50s. In preparing the assessment, the state’s Central Cancer Registry and the Division of Public Health concluded that from 1995 to 2016 the observed number of thyroid cancer cases in the 28115 Zip Code was two times the expected number. In the 28117 Zip Code, the observed number was more than double over the same time period, and three times higher from 2012 to 2016. Overall, Iredell County reported statistically higher rates of thyroid cancer: 1.5 times from 1995 to 2016, and more recently, 1.7 times from 2012 to 2016. Genetics and/or environmental exposure can increase a person’s risk for thyroid cancer. Exposure to radiation, flame retardants and perfluorinated compounds, such as GenX and PFOAs, can also enhance the risk. These compounds have been found in the Cape Fear River, a result of discharges and emissions from the Chemours plant near Fayetteville. However, they also been detected at low levels in Lake Michie, in northern Durham County; since no industry discharges into the lake, Durham water officials believe the compounds are entering the water from the air. Duke Energy built Lake Norman in the late 1950s and early 1960s. The utility’s McGuire nuclear power plant sits on the southern end of the lake; the Marshall Steam Station, a coal-fired power plant is also located on the lake, directly west of Mooresville. Previous PostBoard of Elections updates system to include judicial candidate filings from those affected by SB757Next Post Juneteenth or Abolition Day — which to celebrate? How will I know if my area is affected? I live in the 28115 area. I’ve been in the same apartment since 2006. Hi Brittany, I too was very young when I was diagnosed with thyroid cancer. I was 20 years old, no family history of any kind of cancer and have been healthy my whole life. Whomever is responsible for poisoning us needs to be held accountable. This is a major issue affecting young girls hormones, fertility and overall control of their own metabolism in order to loose weight. Something is in Statesville and surrounding areas water. My mother just died of cancer (Metastatic, originally found in her breast). We’ve lived in mooresville (zip code 28117) since 2001. Cancer doesn’t run in my family. What if it was in our drinking water? I swam in this lake as a teen quite often into early adulthood and now I have thyroid issues. I actually worked for about a year at a diner right by the steam station as well. It definitely makes you wonder about not only the water but the air too. There are also cases of eye cancer in Huntersville. That needs to be looked at too. Many of the communities that are experiencing these cancer clusters are on community wells, for instance in The Pointe there are many cases of lymphoma. I lived in the 28115 zip code and was 23 when I was diagnosed back in 2012. How do we contact the people looking into the study to see if we are part of the statistics or need to be added? And in that story is an information box with how to contact the Iredell County Health Department and other officials. what about Prostate cancer in men of that area ?? There has been no discussion about the prostate cancer rates that I know of. My husband and I have been planning to move from central NC to the Davidson/Cornelius area late this summer to be close to work in Charlotte and in a good school district for our kids. 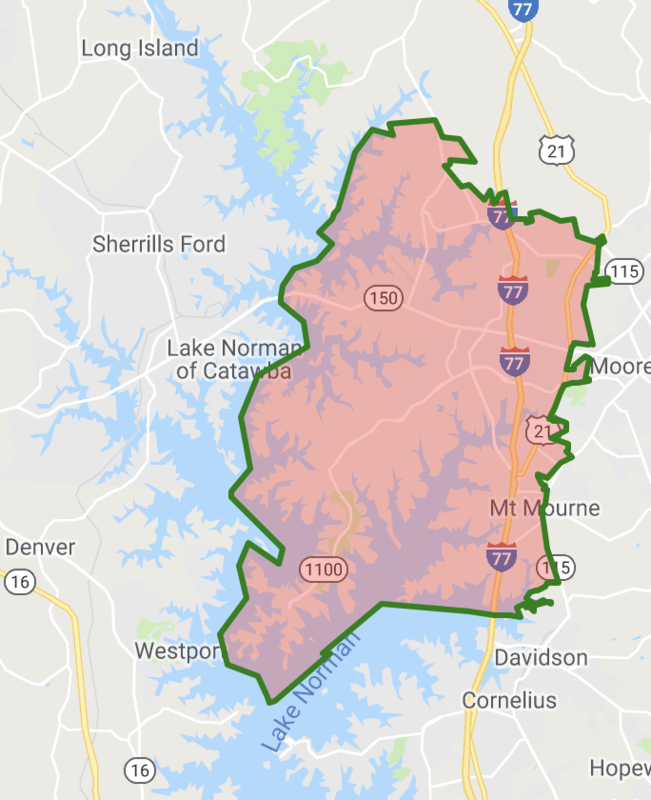 I just learned Davidson/Cornelius is sandwiched between the thyroid cancer cluster around Lake Norman and eye cancer cluster in Huntersville. Any reason I shouldn’t choose a new area around Charlotte to move to? How do I find out what areas around Charlotte have low incidents of cancer or cancer causing agents for adults and children? How about three of us in the same family in zip 28037?????? I lived in Mooresville until the mid 1980s and then moved across the lake to Denver. My father developed Thyroid cancer in the late 1990s. He died of cancer in 2003 at 59. I want to point out this study is just addressing Iredell county figures and not addressing around the lake, which includes multiple counties. I lived mostly in Lincoln County on the lake between Mcguire Nuclear plant and Marshall Steam Station. It would be interesting to see the data around the lake compared to the national average. I’m sure its way higher. I also have thyroid issues that started developing in my late 20s. I’ve just been diagnosed with Stage 4 Invasive Mucinous Adenocarcinoma of the lung with metastasis to the sacrum… I’ve never been a smoker & I have no family history of cancer. 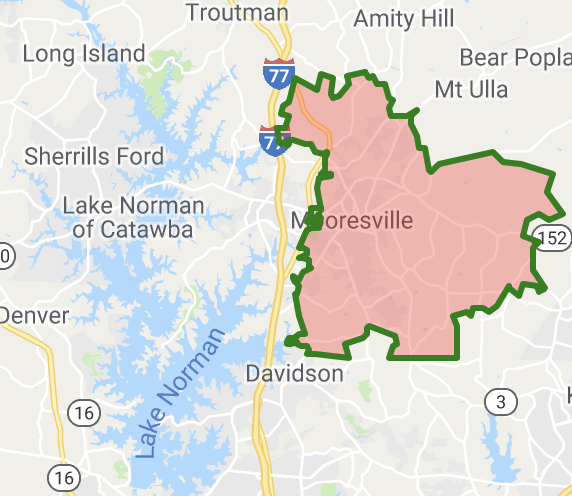 I’ve lived in Mooresvill, NC 28117 for two years & in Davidson, NC 28036 prior to that, since 2006. Huntersville, NC has eye cancer… I spent a lot of time there living with my ex between 2007-2016. I also had a 6 INCH, ovarian mass that was borderline cancer in 2009. My husband worked at Meguire Nuclear Station for 38 years around what he calls the (NASTY STUFF). He was age 57 2 1/2 years ago. Sadly now he has Early Onset Alzehemer and is in the last stages of the desease. When Cognitive my husband would say DUKE did this to me but you as my wife could never prove it. Duke has too many Lawyer you can’t fight. I was living in Cornelius and Huntersville when I was diagnosed with thyroid cancer. I was 26 years old. This has affected my life in many negative ways.